Digital Arts Network (DAN) chose Wizeline to deliver a chatbot for their client Mastercard ahead of the 2018 Australian Open. The chatbot ran for 18 days to engage with tennis fans either attending the tournament or watching from home, with 57 percent of total bot users returning daily. 64 percent of total users signed up to receive updates on topics like match outcomes and player fun facts. The AO Fanbot marks the first chatbot launched by Tennis Australia that provides real-time coverage of the Australian Open. Digital Arts Network (DAN) Sydney, part of TBWA Group, is a specialized agency that builds digital campaigns for brands such as Krispy Kreme Australia and Tourism New Zealand. 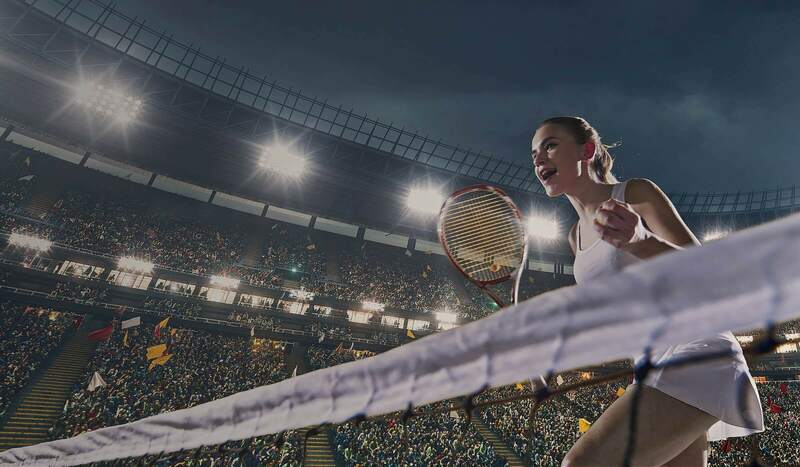 DAN was commissioned by their client Mastercard, official sponsor of the Australian Open, to create an immersive experience for fans that could provide up-to-date tournament news. 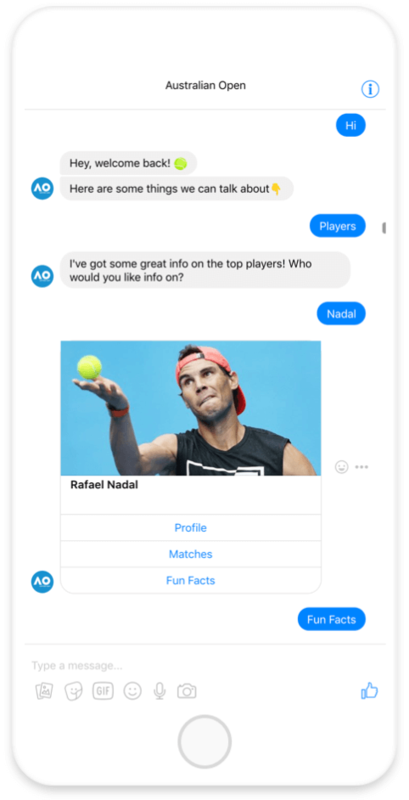 The agency determined that a chatbot would deliver the most innovative engagement for both their client and the tournament organizer, Tennis Australia. Executive Producer Elicia Varley and her team were responsible for crafting the voice and personality of the chatbot, but selected Wizeline as their technical partner to scope, build, and maintain it. The creative team at DAN wanted to design a chatbot experience that extended the Australian Open experience to viewers at home. The team was particularly interested in building a bot with an Aussie tone-of-voice and an ability to sustain natural conversations with fans. In order to develop this voice, the team at DAN drew inspiration from Australian tennis star and Mastercard spokesperson Lleyton Hewitt. The bot provided highlights from the tournament, video content, scheduling information, fun facts, and more. DAN and Wizeline worked closely together to ensure that the natural language processing (NLP) used in the AO Fanbot was capable of understanding Australian colloquialisms. In total, Wizeline trained the bot on 59 unique user intentions, commonly called ‘intents’. For example, a fan could ask a question like “Is Nadal winning right now?” or “When does Federer play?” to get answers in real time. True engagement with fans needed to be informative as well as fun. To achieve this, Wizeline built two custom integrations for the AO Fanbot. First, the bot was integrated with Tennis Australia’s content management system so information about players and tournament schedules were readily available to users. Second, Wizeline integrated the bot with DAN directly to broadcast dynamic video, giveaways, and user polling. Wizeline also built a scheduling manager to ensure that the broadcasted content was available to users as soon as possible. To ensure dependable customer service, Wizeline made sure that the bot could transfer fan questions to a live agent and bring them back to the bot once resolved. Wizeline was able to adapt the chatbot throughout the tournament as the team learned more and requirements shifted.